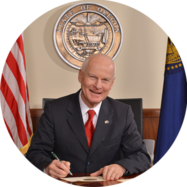 SALEM, OR — Today, Secretary of State Dennis Richardson released an audit of Oregon’s response to the opioid crisis through the Oregon Health Authority’s (OHA) Prescription Drug Monitoring Program (PDMP). The audit found that Oregon lags behind other states in implementing many best practices, and it recommends much needed solutions. On average, every three days an Oregonian dies due to prescription opioids. While opioids can be helpful in addressing pain with appropriate medical oversight, they are highly addictive. Dependence on prescription opioids can occur in less than a week, and taking a low dose prescription of an opioid for more than three months raises the risk of addiction 15-fold. When it comes to providing access to treatment and recovery support for those with substance use disorders, Oregon ranks last for adults and second-to-last for adolescents. Oregon has made some progress in dispensing fewer opioid prescriptions over recent years, but our state still prescribes opioids at a rate of 13% more than the national average, and the U.S. prescribes more than other comparable countries. The opioid crisis has a significant personal and financial cost. Oregon has the highest rate in the nation of seniors hospitalized for opioid-related issues such as overdose, abuse, and dependence. The median cost for each hospitalization due to opioids is $13,000. In 2016, almost 500 pregnancies were complicated by maternal opioid use and 280 infants were born with Neonatal Abstinence Syndrome. From 2015 to 2017, 314 more children entered foster care due to a parent’s drug abuse. The state also has the sixth-highest percentage of teenage drug users. Many people who are severely addicted also find themselves incarcerated at some point. An important tool found in all 50 states to help combat the opioid crisis is a PDMP. PDMPs collect information on opioid and other controlled substance prescriptions directly from certain pharmacies to provide healthcare professionals with a patient’s prescription history. PDMPs also allow tracking of physician prescribing practices to help state authorities create informed guidelines and address other efforts to improve addiction prevention and treatment. Oregon laws prevent the use of a number of best practice methods of the PDMP that many other states have incorporated into their programs. Compared to other states, Oregon’s PDMP collects less information. It is used less effectively. It does not allow key players reasonable access to information. Using PDMP data, auditors found numerous instances of apparent doctor shopping for opioids, dangerous drug combinations, and prescriptions for excessive amounts of drugs. Currently, OHA cannot share this data with health licensing boards or law enforcement. The program is also prohibited from collecting some important information, such as Schedule V medications and method of payment, which could be useful in preventing prescription drug abuse. Auditors made 12 recommendations to OHA. These include ensuring all key prescribers are required to register and to use the PDMP, sharing data with the state’s Medicaid program, providing guidance on integrating use of the PDMP database, identifying and proposing drugs of concern, ensuring prescription information is complete, working with the legislature to expand laws to allow for more data analyses and sharing, more information to be collected, and require prescribers to use the PDMP database.